At Disneyworld, no matter your age you can still be a Mouseketeer. Adults, kids, and families make yearly trips to vacation at Disney World. This can be expensive, but we’ve heard you make your wish upon a star and we’re here to provide you with five travel hacks for saving money on your next trip to Disney World. Everyone has their favourite search engine, but unfortunately, you are excluding yourself from potential savings. To maximize your exposure to savings, simply browse multiple search engines. Skyscanner allows you to search airfares for the whole month so you can see which days have cheaper flights. It also allows you to enter “everywhere” as an option for your destination, so you can see what places you might want to visit on a month’s scope. Airfarewatchdog is another great site; it features a “Top 50 Fares of the Day” where you will be sure to find affordable prices. Google Flights is another good site; it allows you to search for a specific destination as well as see other places you could fly during your dates. We recommend setting up email alerts to be directly notified of changes in the fares you are watching. Also, check out the hopper app; it watches tickets for you and alerts you when the prices go up or down. 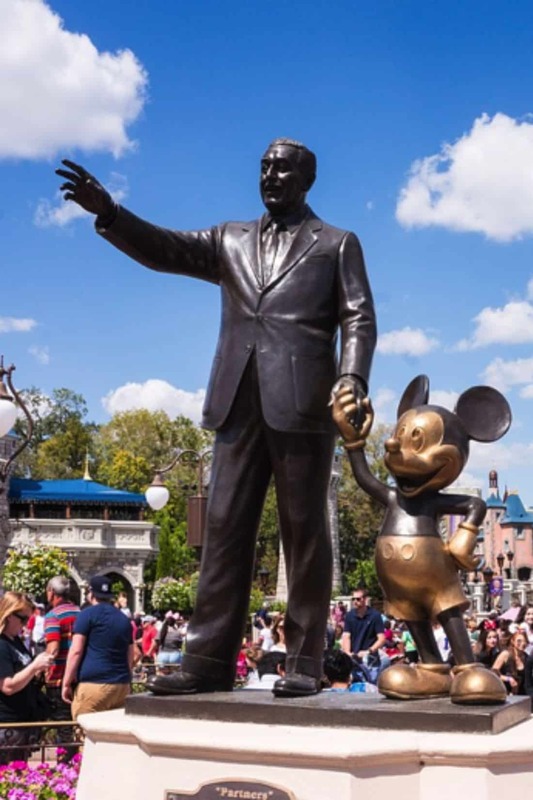 If you plan to stay at a Disney World hotel, choose an airliner such as, Southwest, Delta, American, JetBlue and US Airways that are a part of Disney’s Magical Express. The Disney Magical Express transport your luggage to your Disney hotel room. Once you check your bags in at your departing airport, they will “magically” arrive at your hotel room no more than three hours after you’ve checked in. When it’s time to leave, you can check your bags at your hotel like you would at the airport, and then pick them up at the airport baggage claim once you return home. Book your hotel reservation for at least two to three weeks in advance to take advantage of this service. Once reserved, Disney will send you unique luggage tags to place on each bag. The Disney Magical Express provides free transport from the Orlando International Airport to all Disneyworld hotels. This service is available for flights arriving between 5 am and 10 pm. Portals like Ebates make you money while you shop your everyday purchases and a percentage back as cash. Use the portal to get to Expedia.com, Booking.com, Hotels.com and other travel sites. Ebates links you to all your shopping needs, every little bit helps. At the end of each quarter, Ebates will directly send you a check, or you can receive it through PayPal. Here’s a tip, use Ebates for holiday shopping at Target, Walmart, and other merchants. How often have you made a purchase to later find out there was a coupon floating around that could have saved you money. Retailmenot.com and trustworthy online coupon sites will save you percentages off or free shipping on all kinds of products, from hotels, airfare, and rental cars. Sign up for newsletters to capture bargains that are not shown on the airfare sites. You’ll get the heads up when they have an airfare sale. Join the loyalty/rewards programs for all the airlines you fly with, the hotel chains you stay at and rental car companies you use to receive insider discounts. Some airfare programs offer bundled discounts on flights and Disney World vacations. Your trip to Disney World can be purchased with Disney gift cards. Disney gift cards are available at discounted prices when you buy them from Target using your Target Red Card. Disney gift cards are classified by Target as entertainment cards, and when purchased with the Target Red Card you are entitled to a 5 percent savings. This may not seem much if you only bought a $50 gift card but multiply that out into thoughts, and you can save a nice chunk of change. Warehouse clubs like Sam’s, BJ’s, and Costco are known to sell Disney gift cards at 4 to 5 percent off. Kroger grocery store has also been known to give fuel rewards with the purchase of a Disney gift card. Now, if you like carrying around a giant stack of cards with you, that’s great, but if not consolidate them online at disneygiftcard.com. Also, if you are paying for your trip over the phone, it’s much easier to use only a couple cards rather than a few dozens. The cards can hold a man of $1000. Plus, the Disney Cast Members can only input three gift cards at a time. If you purchase the gift cards with a credit card that gives you rewards you can save a lot more. Disney has two visa credit cards which you can use to earn discounts and points to your vacation. You can save 10 percent at select Disney resort restaurants and select merchandise purchases and participate in exclusive character meet and greets which comes with a free photo at Epcot. The Disney premier card earns you double points on gas, groceries, and at Disney locations. Use the plastic cards to the best of your ability. These are just a few of the smart ways that you can save money on a trip to Disney. With a little creativity and a little magic, you may just be able to save even more! What are your best hacks for saving money on your vacations? Leave us a comment with your tips in the section below. This article is contributed by SkyScanner. Such blogs are very helpful for travel beginner like me. Money saving trick are always delightful. Thanks for motivating people around the world.